As if soaring oil prices were not enough we now have to deal with a dramatic increase in the price of the raw materials required for the manufacture of cars. This rise in raw material, in conjunction with the oil price crisis, has caused care manufacturer stock to drop and has led companies to state that they will have to raise prices in order to remain profitable. Despite the difficulties they would face, Toyota statements last Friday read that they may have to increase the prices of their passanger cars to cope with the situation. According to the Japanese media, Toyota may raise the price of all domestic vehicles in one go. If so Nissan is sure to follow, as they have made similar statements themselves, but would have to wait for the market leader to increase their prices before they could do the same and remain competitive. 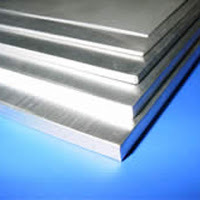 One of the reasons for the surge in raw material prices is the fact that China has agreed to pay 95% more for steel from its Australian suppliers than it did last year. That automatically affects the prices for everyone and it would seem that China's developing economy is doing better than the US, as far as cars are concerned at least. At least car manufacturers are still trying to make cars lighter and with less parts, which affects both petrol consumption and the amount of raw material involved in the construction of the cars. Over the past few weeks we have seen company after company go for the manufacture smaller cars, especially in the US where truck sales are dropping. Nevertheless, Suzuki seems to be doing just the opposite. Despite the fall in truck sales, Suzuki has started introducing their own pickup trucks to the US. It seems to me that there is someone in a boardroom in Japan saying, "It's just crazy enough to work!" The first car they will introduce to the US in 2009 us the Equator compact pickup truck, which will be built for them in the US by Nissan. In 2010 they will introduce an as of yet unnamed (in the US) midsize car, which will feature the Malibu's 3.6 litre engine and Suzuki's all wheel drive. The next car to make an appearance, or to be more exact, a reappearance, will be the Suzuki swift in 2011, which left buyers unimpressed the first time round. However, this time it will be available with a 1.6 litre engine and 124 horse power. Hats off to Suzuki for a bold move, but is it the right move? With the declining sales in the truck and pickup truck market, is it viable for Suzuki to try and sell what no one is buying at the moment? It might be, if they know something we don't and truck sales pick up (no pun intended) in the next couple of years. Surprisingly enough, an innovative, greener way of travel in cars is being pioneered in the US. Unsurprisingly, it is an idea that is most popular and originates from the west coast, specifically the San Francisco Bay area. 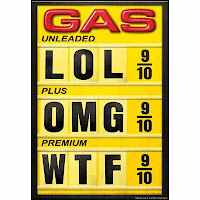 To be honest, it is not that new an idea, however with fuel prices what they are it has become increasingly popular. In a culture where the pursuit of happiness is often symbolized by the lone rider on the open road, a more attainable form of happiness is being on the special fast lane for car poolers and getting to work in a third of the time it takes everybody else, skipping the traffic jam and the poll booths. Apparently, car pooling has its own etiquette, however it differs between the two types of car pooling, the organised steady car pooling partnership and the random passenger car pooling. If you have standard car pooling partners (coworkers, neighbours, kids, etc.) then you must not be late, you must agree on an amount to pay to the driver for the upkeep of the vehicle and you must be careful of how much perfume you put on that morning. That last rule applies to the second type of car pooling, although what is more important is, apparently, not speaking (unless the driver starts the conversation), and naturally no eating, drinking or smoking. Strangely enough, car pooling has not picked up very much in Europe, although there are websites for car pools in certain European countries. It makes a lot of sense if you think about it. It's cheaper and usually faster than any other form of transportation (if everyone is doing it or there are incentives similar to those in San Fransisco). Maybe this will be the next step in our adapting to our new needs in the face of diminishing oil reserves and increasing prices. Volvo's recent announcement that it will be sacking 1200 employees in Sweden and that it will be dropping an additional 300 jobs overseas, along with 500 contractor cancellations, has reignited talks of the company moving towards a potential sale. Volvo is the last of the original Premier Automotive Group left in Ford Motors, after it sold Aston Martin, Land Rover and Jaguar. It denies that it is going to move to the sale of Volvo, and claims that these layoffs are part of its multimillion pound cost cutback. Ford sold the aforementioned companies to Indian automotive conglomerate Tata in order to focus on its declining sales in the US market. We saw that this slump in sales in the US has affected other companies as well, such as Toyota, whose sales of trucks and lorries has dropped so sharply that they are having to focus more on their fuel efficient smaller vehicles, a trend that is very unlike anything the American market has been like historically. Yet another consequence of increasing oil prices has struck at Toyota. It is the Japanese car manufacturer that has to adjust to the times, just as other automotive producers. Soaring oil prices have caused a drop in the demand for high consumption vehicles. The world's second largest carmaker has been confronted with diminished demand in the US. The US is Toyota's biggest market for lorries and long haul vehicles and thus the company will have to review their 2.64 million vehicle target that was set for this year. The meeting is set to take place next month and a new target is most probably going to be set. Unfortunately for Toyota, even though they lead the market in fuel efficient cars, it has not been enough to keep them unaffected from what seems to be a global crisis for the automotive industry. The drop in car sales in the US has had a knock on effect on Toyota's share prices. US auto sales has dropped by 13% this year and Toyota lorry sales have dropped by more than 7%. This is all thought to be due to the $4 a gallon oil price tag. Not much of a surprise really, more like common sense. With oil prices what they are, even the proudest of American car fans will have to admit it makes sense to drive something small and economic rather than a huge gas-guzzling pickup or SUV. And few people are prouder of the American automotive industry than Ford execs. So it is quite impressive that they are delaying their new pick up truck's release by a couple of months and that they are increasing the output of their smaller vehicles. Apparently, this is in response to demand, seeing as more customers are opting for the fuel efficient smaller cars. Naturally, this will have a knock on effect to their employees, and as production and demand drops, so will the number of shifts available to workers, and the number of workers themselves. It seems as though the pride of the big engine that rumbles down the endless stretches of American highways, through deserts and forests, is coming to an end in the shadow of the ever increasing cost of fuel. The pursuit of happiness will have to take place in a smaller car it seems. Japanese cars have come top of the list in reliablity charts posted by Which? magazine in a study they carried out on 90,000 cars from around the world. Honda, Toyota, Daihatsu, Lexus, Mazda, Subaru and Suzuki took the top 7 places in reliability, however Honda's Civic didn't do quite that well coming close to the bottom of the list (for medium sized cars). That is not to say, however, that European car manufacturers were left completely out. As far as most reliable brand is concerned, Skoda was praised for theirs, outdoing the likes of Mercedes, BMW and Audi. Top cars in reliability in their own class: Honda Jazz/Skoda Fabia, Skoda Roomster, Volvo C30, Honda Civic Hybrid, Mercedes Benz E Class, Honda FR-V/Seat Altea/ VW Golf Plus, Lexus RX, Audi TT/Mazda MX-5. Last in reliablity in their own class: Fiat Grande Punto, Suzuki SX4, Honda Civic/Citroen C4, VW Passat/Citroen C5, Ford Galaxy/Ford S-Max, Land Rover Discovery 3, Mercedes-Benz SLK. Oil prices affecting the way we drive? Just as air travel is reverting to prices of the past, with airlines cutting their budget travel offshoots , the spike in oil prices is starting to affect the way people drive. As it becomes more and more expensive to go to work, take the kids to school and go shopping, people are having to find new ways of dealing with the current situation. And with certain analysts predicting that it is not out of the question for oil to reach $200 a barrel things seem to be staying that way. An even scarier prediction was made by Russian Gazprom, which stated that oil prices could reach $250 a barrel by 2009. So what effects is this having on the population? Well, more and more people are using public transport, riding bicycles or, in some extreme cases, stealing diesel from farmers (diesel theft has been on the rise since May). Unfortunately, as prices do not seem to be dropping, it will become more and more difficult to use cars. This increasing cost may be the real reason behind all the research and development being piled on by car manufacturers into lighter, lower emission, electric, and hybrid vehicles. If things keep going this way cars will once again become a luxury. A solar panneled luxury in fact. 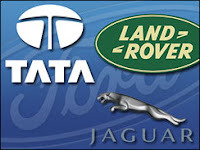 When Ford was forced to sell Jaguar and Land Rover to Tata Motors earlier this month so that it could concentrate on it's US business that has been taking losses, Tata executives had stated that they were looking to extend their full support to both Jaguar and Land Rover so that they may achieve their competitive potential. In an age when most plants are being moved to developing nations to lower costs and staff is made redundant in a flash it is a relief to see that what are two essentially British brands will continue to be made in Britain and that India is creating jobs in the UK. The Moscow International Automobile Salon will play host to a new and exciting vehicle, the as of yet unnamed new Mazda concept car. It's been a good year for Mazda, in fact they set their all time record for sales in a fiscal year (April 07 - March 08) and set their all time record for sales in one month in March, and now they will once again attract the spotlight with what looks to be a magnificent design, if the CX-7 and CX-5 are anything to go by. Nagare, which according to a Mazda press release on the vehicle, means “flow” in Japanese, represents a new approach to expressing movement in car design, taking as inspiration the flow patterns of natural elements, such as the wind. Russia is one of Europe’s fastest-growing markets and is rapidly becoming the region’s largest automobile market. 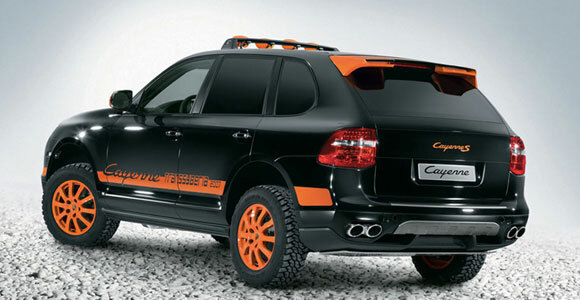 SUVs are particularly popular in Russia, with a segment share of about 20 percent. 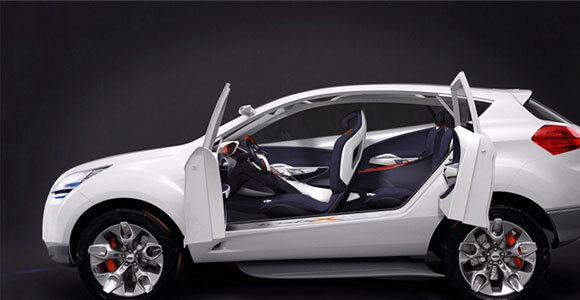 Mazda’s latest concept car is designed to appeal particularly to younger SUV owners who have a strong sense of style. The Moscow International Automobile Salon media days are on August 26 and 27, whereas August 28 caters for industry and trade specialists. The show is open to the public from August 29 through September 7. The new show car will be unveiled at the Mazda press conference at 10:15 on August 26 at the Mazda stand. The first time I read about the potential to build a hydrogen powered car, one that was to emit water vapour as its exhaust fume, I was ecstatic. Obviously, we were only a decade or so away from the flying Delorian, and you all know what that means... hoverboards! Seriously though, it was a beautiful image, to have a car that runs normally and the only mark you leave on the environment is water. 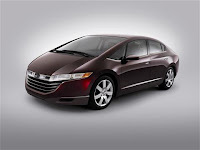 So Honda have now become the first car manufacturer to commercially produce of a hydrogen fuel cell powered car. I say produce commercially, there will only be about 200 cars and those are to be leased over the next three years, mainly in Japan and California. This is primarily because of the refueling problem, as refueling stations for hydrogen fuel cells are very few and far between. That, and the high cost of producing the batteries themselves. On the other hand there is the concern of how the hydrogen itself is produced. Surely energy will be consumed in order to produce energy. So, even though I love the idea of a car exhaust dripping water, I still remain a bit skeptical about the whole thing. In fact after skimming over The Hype About Hydrogen I tend to agree that hybrid cars may be a more realistic alternative for now, especially with all the research being done in diesel hybrids and reducing weight by redesigning cars. Will the Hydrogen car actually help our environment? Without even looking I can tell if a taxi has pulled up. It's that rumbling diesel engine pulling up to he curb but never switching off. Most people, including myself until recently, thought that diesel meant smelly, noisy and (worst of all) slow. But the popularity of the diesel engine in two very important sectors of driving raises the question of whether or not it is in fact inferior to other engines. The reasons for diesel's popularity is its low cost, in the face of increasing oil prices, and its high mile per gallon average. Now in order to keep with the eco-friendly trend in cars, there are plans for a diesel-electric hybrid. Peugeot and Volkswagen both have diesel hybrids, in the case of the VW Golf it has the added bonus of cutting your road tax to zero. Furthermore, there is a chance that in next year's Le Mans there will be diesel-electric hybrid's racing. For the moment the combination of the two technologies would make cars too heavy (seems to be everyone's concern these days) albeit more fuel efficient, but as technology progresses, the diesel-electric model should become all the more popular and easy to achieve. And when that happens I won't be able to tell when a taxi has pulled up. Because the hybrids are quiet. After two posts about redesigning cars to save on costs and lower prices, I think it's time we talk about a new design aimed towards luxury. Vauxhall recently published pictures of the interior of the Insignia, the car to replace the Vectra, and they look impressive. The Insignia is an attempt to overtake the Ford Mondeo as the favourite family car and challenge more luxurious opponents, such as Audi A4. Vauxhall's unique design language spreads into the cabin of the Insignia, bringing new levels of luxury, style and quality. The dashboard's top-pad wraps around from the instrument panel to the door, creating a unique wing-shape and embracing the occupants. Ambient lighting radiates a warm, luxurious aura. Much emphasis has also been put into the development of the seats, which set the highest standards in ergonomics, comfort and safety. "The Insignia is one of our most ambitious projects to date, and we will be revealing the full extent of our technological progress when the car is officially launched at the British International Motor Show in London on July 22," says Andy Gilson, Marketing Director, General Motors. It was only yesterday I was discussing how Professor Gordon Murray was talking about redesigning the car and reducing parts, and after watching an online interview with the designers of the Tata Nano, he is not the only one. Apparently Tata motors designers and engineers had the same idea and after designing and redesigning the car several times they have managed to reduce the number of parts used for the production of the car (car door handle, wheel bolts, etc). This is one of the reasons for the outrageous $2,500 price tag and is probably why the CEO of competitors Bajaj Auto is evidently upset in his online interview at the BBC. Tata have undercut the competition by 50% and Indian economy is booming. It looks to me like the VW of the East. I wonder if it will catch on? I can see it now, psychedelic designs on the hood and full purple shag carpeting interiors with a gigantic peace sign hanging from the rear view mirror. Or not. Designer of the McLaren F1 and many other Formula One cars, Professor Gordon Murray, has been working on a new design for a car, “rethinking the car as we know it” that will shake up the industry, according to his statements to the BBC. He is not dealing with creating a more fuel efficient engine or a new hybrid or electric car. There are plenty of those around. He is dealing with weight. 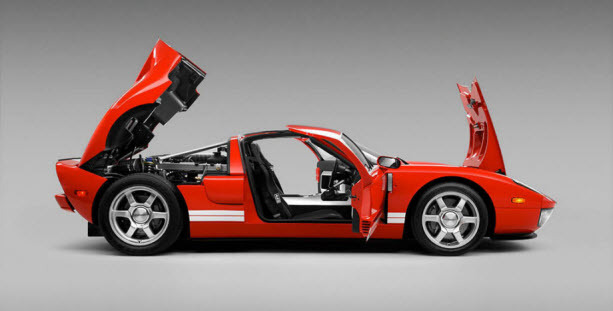 Professor Murray claims that the entire design of the car needs to be rethought, that everything from the bolt holding the wheel to the car, the energy used when the bolt is shipped, and even the energy used to create the bolt is being checked. That and the weight of the car seem to be his two main concerns, as car companies seem to be making bigger and heavier green cars, which automatically makes it harder for them to move, thus more expensive. He aims to design a new car in every sense of the word. 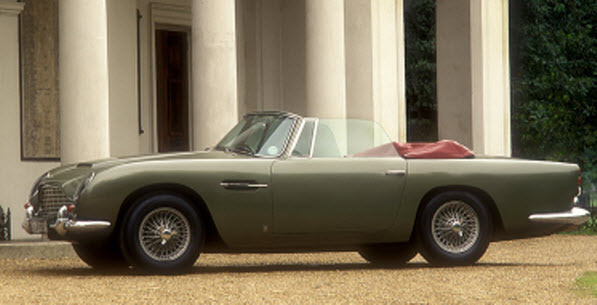 It is as though we have been trapped in this image of the car and find it hard to think of any other shape than a loosely rectangular or oval shape with four wheels attached. I’ll be looking forward to what the man that used to design the fastest most efficient cars in the world has in mind. A light, fun and efficient vehicle. And something tells me it’ll corner like it’s on rails. Who said hybrids were slow? Slow and boring? I think not, as US based Hybrid Technologies has announced plans to put a hybrid supercar into production by the end of 2009. This stylish lithium-ion sportster holds claims of keeping up with a Porche or a Ferrari and the ability to deliver a minimum of 220 mpg. According to Hybrid Technologies, they will also make available a fully electric version of the car allowing for up to 180 miles per charge. Executives within the company have promised this car will provide a “wild experience”, however no one in the media has been given a chance to test drive the vehicle. Additional features adding to economy, eco-friendliness and handling are the car’s regenerative braking (recharging batteries while braking) and movable aerodynamic aids, changing as appropriate to the speed.